We are currently looking for vehicles to be part of our Touch A Truck program. Send an email to thale@cretepark.com or give us a call at (708)672-6969 and ask for Therese. All Tyed Up is getting the Palooza shirts ready for you. 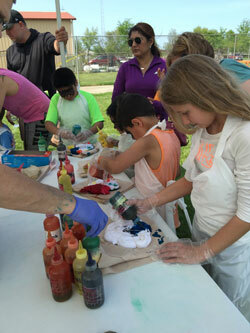 Come make your own tie dye shirt for $3.